With a population of 14 million, Lagos, Nigeria is the third largest film producing country in the world, trailing only the United States and India. Each year, approximately 2,500 films are produced with a budget under $15,000, but with only three movie theatres in the region, the majority of films are distributed via video discs. 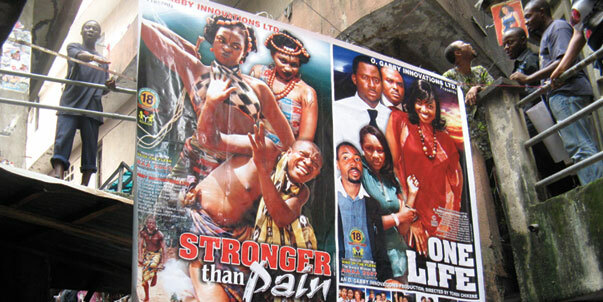 While the films created would barely rank as amateurish in North America, Nollywood films are the voice of the nation’s people, continually covering themes of pain, struggle, and heartache, but with an additional message of hope. Along with an overall depiction of Nigeria’s film industry, the documentary follows Lancelot, the country’s most prominent director, as he works on his 157th film, Bent Arrows. Besides having the chance to witness the hysterical clips from various Nollywood films, the subject matter could have easily been covered in print and delivered an identical message. It was apparent the content dwindled at the hour mark as the direction shifted to an entirely different subject of religion and corruption that felt completely detached from the rest of the movie. With so many documentaries this year projecting world-altering messages, Nollywood Babylon is sure to fall in the cracks of oblivion.